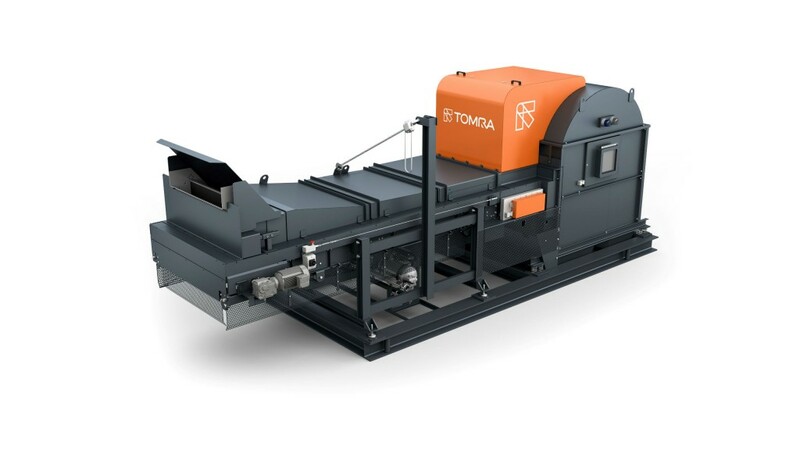 X-TRACT is best known for the sorting of Zorba (shredded mixed nonferrous scrap metals) into aluminum and mixed heavy metals. Design advancements on the new machine now make it possible for X-TRACT to be configured in five different application packages: E-Scrap, Organic, Wood, Aluminum and High-Power-Pack. "With X-ray transmission technology to assess materials according to their density, X-TRACT was already capable of delivering excellent sorting performance," comments Carlos Manchado Atienza, regional director Americas for TOMRA Sorting, Inc. "Our innovative and unique Dual Processing Technology improves accuracy to material recognition and sorting. There is no other technology on the market like this. Now that X-TRACT is available for a broader range of customized application packages, more businesses can take advantage of it." Each Pack optimizes the machine's performance for specific sorting tasks by precisely tailoring sensor and X-ray setup. Application packages also have customized mechanical specifications, fine-tuned to the user's needs. For example, certain packages can be configured for higher material throughputs, while others can be set up for sorting heavier materials. X-TRACT employs X-ray transmission (XRT) technology to sort materials according to differences in their density. Broadband radiation penetrates the material to provide spectral absorption information which is then measured with a highly sensitive X-ray camera to identify the atomic density of the material, regardless of its thickness. Dual Processing Technology enables X-TRACT to distinguish between overlapping objects on the sorting line, a significant advantage when lines are running higher throughputs. This advancement has been made possible by the development of sophisticated software, which can detect and prioritize between single object processing and area processing. X-TRACT is the only machine on the market capable of this. The introduction of multi-density channels expands the number of density classifications, giving customers more sorting flexibility. Previous X-TRACT models sorted material according to two classes, separating it into high-density and low-density fractions. Today's X-TRACT with multiple density channels delivers a greater number of classes for separating materials according to density, with the maximum precision. X-TRACT also features the new TOMRA ACT, an intuitive user interface that offers several user-level settings. TOMRA ACT optimizes the sort and shows operators the most relevant real-time process data at a glance. This information improves monitoring and enables fast adjustments at any time, so the operator is always in control.